Thousands of companies rely tremendously on the power of their storage drives, the expanded memory of their laptops, the heavy duty external hard drives, the hundreds of optical discs – from floppy to Blu-Ray discs, and for the last five years or so, their USBs, for the secured storage of their valuable data. For a flash drive user, nothing is worse than losing this data due to theft while in transit. Now, that is about to change. 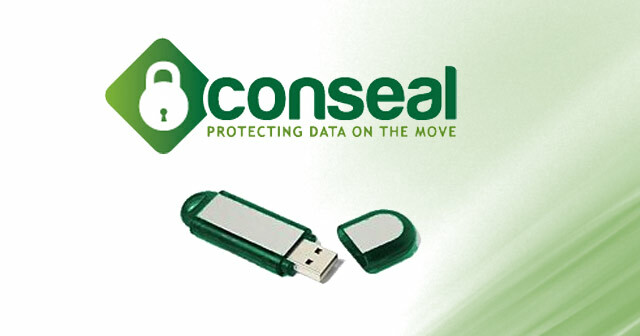 Conseal Security has launched Conseal USB, a unique innovation that provides a great solution to meet the growing requirements of users in dealing with threats of theft, burglary and fraud on sensitive data. The USB flash drive is equipped with a cloud-based solution that enables a dual lock AES-256 encryption, so it is not reliant on the existence of a password, and has the ability to remotely destroy sensitive data in unfortunate cases such as when the device is lost or stolen. Additionally, the USB drive provides an audit trail of all access attempts, whether authorized or not, which can be used to comply with regulations. This function available to all devices protected with Conseal, prompts the owner when anyone attempts to access the data, including the attempting party’s MAC addresses, drive serial numbers as well as system and login names. USB cloud storage is Conseal’s most prolific feature as it ensures that even if the device is stolen, the stored data will remain completely unusable, even if a correct password or encryption has been entered. The USB drive’s centralized cloud-based management console enables the owner to access the device when on-the-go via web browsers or your favorite smartphone. To make the data even more secure, access rules may be specified and limited to a person, a group, a device or an IP address of your choice. Moreover, Conseal USB, being vendor agnostic, has also eliminated vendor hardware lock-in so that users can concentrate on protecting their data without the need to worry about the cost and limitations of compatible hardware. It allows users to encrypt that data via a web-based management portal. Conseal USB is ideal for companies that deal with tons of data such as those in the finance, education and government field. Conseal has a corporate licensing model that could make it easier for its business partners to get big clients. The device has been out in the UK market for around 20 pounds (approximately $32) with a 12-month protection of up to five devices. Have you thought of having a secured device like Conseal USB? Do you think it’s an ideal fit for the corporate world? This entry was posted in Articles, Cloud Storage, Conseal USB, Flash Drive, USB encryption, USB File Sharing and tagged cloud security for USB storage, Conseal cloud security for USB, Conseal USB, download Conseal USB, protect USB data on move, USB cloud storage, USB conseal security. Bookmark the permalink.